2 Bedroom Lakefront Cabin. Also known as the "Gazebo Cabin"
We would like to invite you to come and stay in our two-bedroom beautifully appointed cabin also known as the "Gazebo Cabin." This cabin features a full kitchen, stocked with everything you need but food to make your stay enjoyable. There is ample parking, satellite television, a large yard, and a wrap-around porch. Enjoy yourself relaxing while drinking your morning cup of coffee watching the morning sun come up over the tree tops as you sit on the very peaceful gazebo. Outdoors, you'll find everything you need for a relaxing stay, including picnic tables, fire rings, gas grill, charcoal grill and a gorgeous private lake stocked for catch-and-release fishing. (Fish from shore or use our boat at no extra charge!) This cabin is within feet of the waters edge. As evening begins fall a nice stroll around the property and along the creek just enjoying and soaking up nature there is no better way to relax. This cabin is everything you want to get away from it all! Full bathroom with linens provided. A top load Mag tag washing machine. Laundry detergent provided. A front load Mag tag dryer. All towels, hand towel, and wash clothes provided plus extras. Dishes and all eating utensils provided. Also paper towels, dish liquid. A variety of board games to play. Rental includes its own Bass Hunter 2 person boat. We also supply trolling motor and life jackets. Nearby Lake Cumberland Park offers boat launch and boat rentals as well. It was certainly our pleasure having you and your family as our guest. We are absolutely thrilled that all of you enjoyed your stay. Thank you so much for choosing to stay at our property. Take care. Timmy and I wishes you all the very best. Always a relaxing place..love how beautiful it is and the fishing is fun too! We booked a cabin in the spring and now just recently. It was a great place to destress! A big THANK YOU!! Jenny. We appreciate you so much and we are very glad that you enjoyed your stay. We look for ward to your next return. Take care of your self and have a wonderful Fall. Thanks for taking such excellent care of the cabin and property. Timmy and Rose made our stay great. Had a wonderful time relaxing and catching a ton of fish! Beautiful cabin and surroundings! We are thrilled that you enjoyed staying in the Gazebo Cabin. Thank you so much. Timmy and I appreciates ya'll so much. Have a great summer and take care. We would enjoy having you as our guest again. Peaceful, relaxing, and comfortable living. 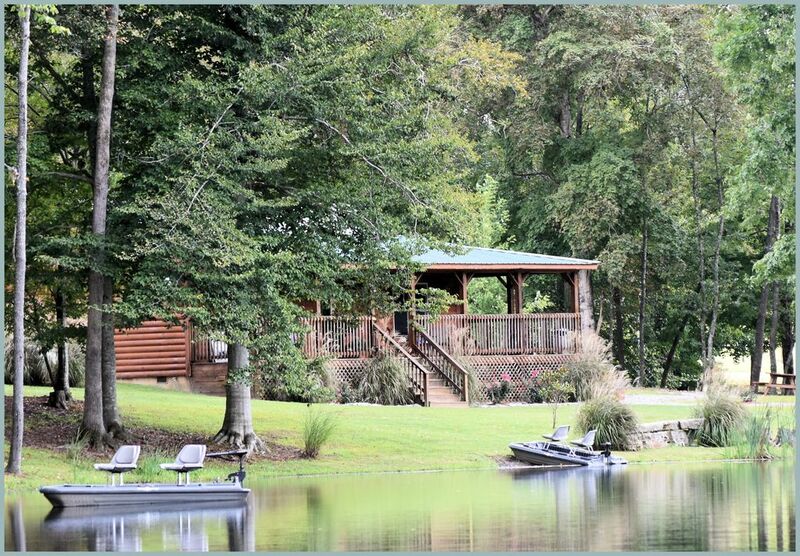 Clean, accommodating, cabin with wonderful views and great fishing. Owners were helpful and welcomed us as we arrived. We would stay again in a heart beat!! Timmy and I are so pleased that all of you enjoyed your stay. It was a pleasure having you as our guest and we would love to have you to come make a return trip. Enjoy your summer and take care. Oh, thank you for taking such excellent care of the cabin. We had a great time. The cabin was very nice. Great place for a getaway. Thank you so much. We are so glad that you and the kids enjoyed your stay. Take care and thank you again for choosing to stay at the Gazebo Cabin.